We have been proud to serve our friends and neighbours as a family-owned business for over 20 years! Please come by to say hello and learn how you can have the fun and rewarding experience of making your very own wine. We are proud to offer the full range of RJS Craft Winemaking kits, or you can choose to make wine from our very own premium grape harvest. My Wine Cellar is honoured to be selected to the RJS Craft Winemaking Academy of wine stores. 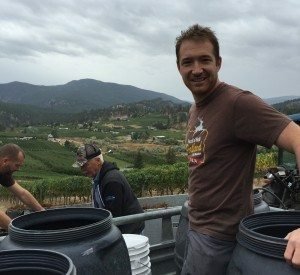 The RJS Craft Winemaking Academy is a network of the best and most passionate winemakers and retailers across the Canada. These stores are committed to providing exceptional products, services, and the best craft winemaking experience to consumers.